There’s this place in the sun. It’s spread out and spacious. It’s relaxing and refreshing. It evokes the sense of time slowing down, of needing to sprawl onto a mat or a towel or even a deckchair and not get up again for ages. 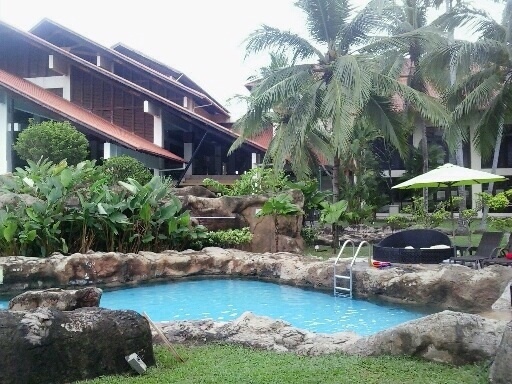 One sits by the freshwater pool and watch the South China Sea waves roll in. And in the midst of it all is a little nook where, once you splash over to, you can be even more serenely silent as you cool down. Five-star? I would say six. This entry was posted on 25/10/2014 at 22:11 and is filed under Places, Travel. You can follow any responses to this entry through the RSS 2.0 feed. You can leave a response, or trackback from your own site.